Backyard spaces can be customized to a variety of purposes. 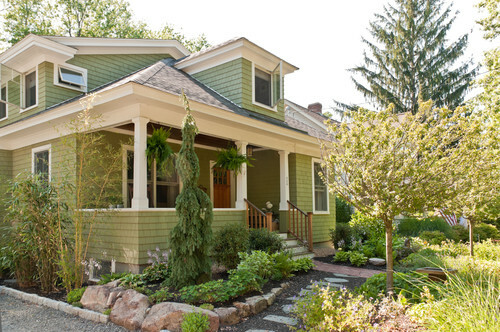 For best effect, however, the ground cover must be adapted to the use of the homeowner. Here are the two of the more common ways that this task can be accomplished. Lay in a Lush Grass Lawn – The traditional way to cover a backyard space, a grass lawn has a lot of appeal. Not only does it provide safe and pliable place for the kids to horse around but also a cool spot for the adults to engage in conversation or just relax. Maintaining a lawn does take effort, though you can hire an experienced landscaper to keep it lush and green. 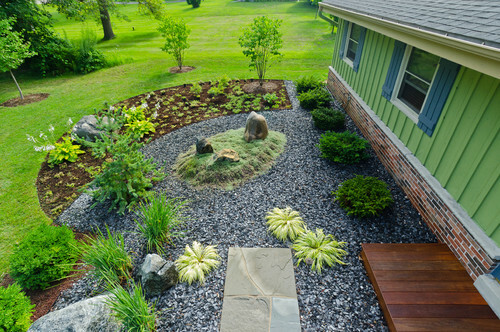 Install Stone, Brick or Gravel Spaces – A xeriscaped yard – one that needs almost no water – is your other option when it comes to covering your backyard. A stone patio – in whatever form – provides a far more stable base for dining, entertaining and whatever else strikes your fancy. For more on these two landscaping tips and on finding the best Atlanta landscape designers, please visit us online or phone us directly at 888-210-1116. Outdoor Expressions – Making your outdoor space a place to remember. Sun vs. 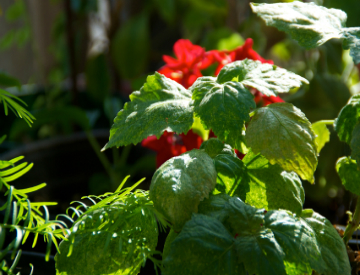 Shade – Most annuals – coleus, impatiens, alyssum and polka dots, for example – prefer full sun. For shaded areas, try plants such as fuchsia, balsam, oxalis and impatiens. Dry vs. Damp – Not many annuals – Mexican sunflowers and zinnias are some of the more notable exceptions – prefer dry conditions. Instead, annuals prefer moist, dark earth that is well drained. Spring vs. Summer – The final factor to consider is the part of the year when you will be planting the annual. At the beginning of spring, concentrate on salvia, lantana and milkweed. At the end of the season, try petunias, violets and pansies. 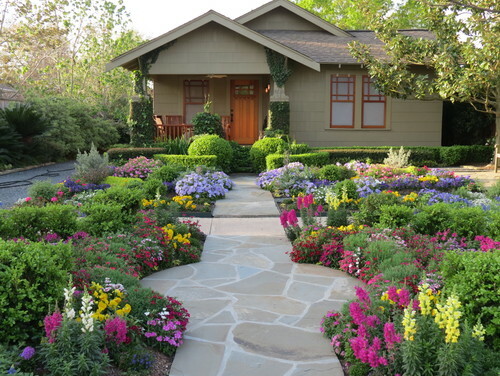 For more tips on creating the perfect outdoor space with annuals, please visit us online or phone us directly at 888-210-1116. Outdoor Expressions – Making your outdoor space a place to remember. Lay Patterns on the Walk – A focal point is always a great way to distract from an otherwise mundane space. Installing a patterned walkway of stepping-stones or just a nice brick pathway is an excellent way to add some flavor to the space without adding a lot of cost to the process. Go Vertical – Even the smallest of gardens can be significantly expanded by the judicious use of the third dimension – that is, height. Instead of simply laying in monkey grass of other low profile plants, try adding some bushes and tall-growing glasses to add another element to the equation. The result may surprise you. For more tips on creating the perfect outdoor space in your small front yard, please visit us online or phone us directly at 888-210-1116. Outdoor Expressions – Making your outdoor space a place to remember. Do Not Disturb – While many bee species can inflict a painful sting, most – other than the Africanized varieties – are not particularly aggressive unless disturbed. Give their hives a wide berth – 6-8 feet is usually enough and you should have no problems. Provide Proper Forage – Every creature has to eat. Right? 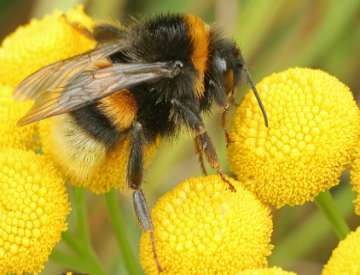 Bumblebees are no exception. By simply providing them with plants – geraniums, plum clover, coneflower and bergomot spring immediately to mind – that meet their needs, a homeowner will create an inviting and sustainable place for these creatures to exist. For more commercial landscaping tips, please visit us online or phone us directly at 888-210-1116. Outdoor Expressions – Making your outdoor space a place to remember. Install the Right Plants – By starting with sun-tolerant flowering plants – especially ones that bloom like wildflowers – your garden will have a headstart on the summer season. Try coneflowers, verbena coreopsis and daisies as well as yucca, agave and the tree aeonium. . Protect from the Wind – Obviously, the sun will deprive plants of hydration through its evaporative effects. Even a moderate wind will exacerbate this situation. Planting shrubbery or even installing fencing can significantly reduce this effect. Pay Attention to the Maintenance – Without a doubt, a basic disregard by the property owner for the landscape is the primary reason that plants do not survive in otherwise quite plant-friendly environment. Bottom line – pay attention to the plants now. For more tips and gardening ideas in the Atlanta area, please call us directly at 888-210-1116 or visit us online. Outdoor Expressions – Making your outdoor space a place to remember. 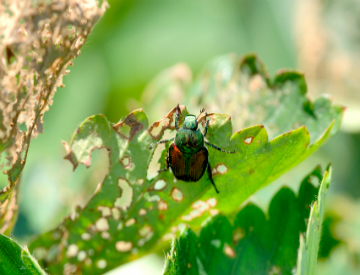 Recognize Your insect Friends and Foes – Certain insects – aphids, squash beetles, grasshoppers and cabbage worms, in particular – are incredibly destructive and need to be dealt with ASAP. Others like lady beetles, praying mantises, lacewings and spiders – should be encouraged to stay and allowed to prey on their pestilential cousins. Install the Right Plants – Similarly, certain plants will attract the right insects and thus help to naturally lower the number of pests in the garden. Examples include cornflower, alyssum, fennel, borage and anise. Plant them on the perimeter and throughout the garden for best repellent effect. For more information on managing pests in your residential or commercial landscape or if you are looking for an experienced commercial landscaping firm to do it for you, please visit us online or phone us directly at 888-210-1116. Outdoor Expressions – Making your outdoor space a place to remember.